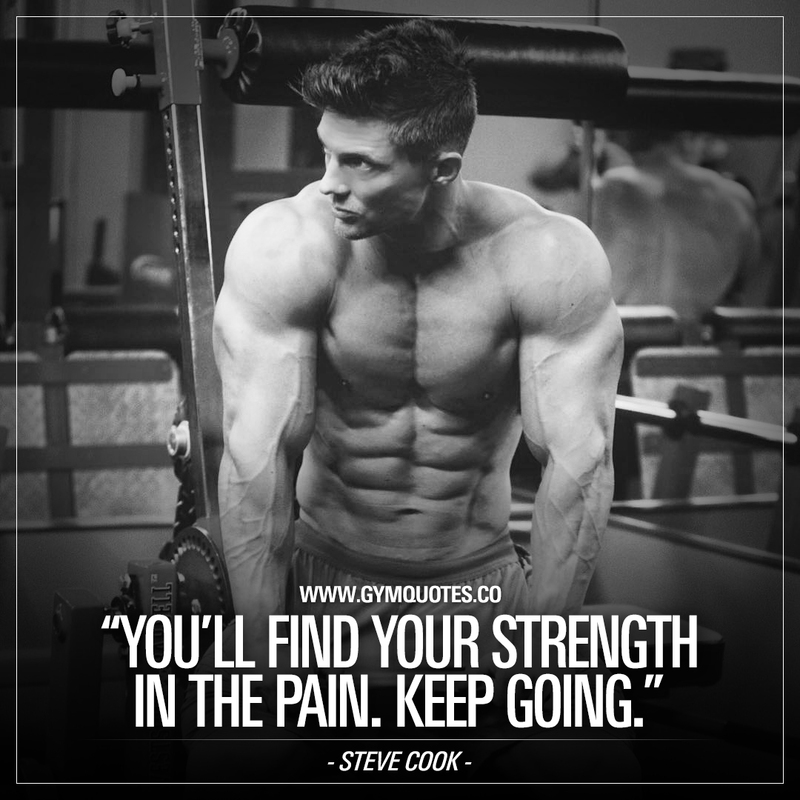 Steve Cook Quotes: You'll find your strength in the pain. Keep going. Or like I call it: When you turn on beast mode. That moment when your mind goes into beast mode and you rise above the pain and go all in until you’re DONE! Find strength in the pain and don’t ever stop. Keep going until you’re DONE with your reps, set and workout! Steve Cook – Where there is no struggle there is no strength to be gained. Steve Cook – The next person history will remember is out there, and they are made of the same matter as you are! Steve Cook – Sometimes I whisper to my biceps in my gym douche voice.